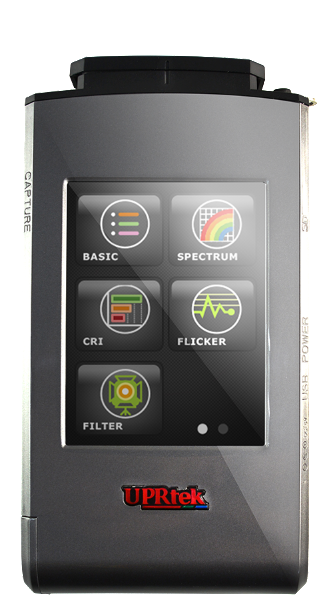 UPRtek have launched the CV600 Spectral Colour Meter– a professional device that measures colour, light and exposure. The CV600 is ideal for photographers, videographers and filmmakers that value colour accuracy and lighting consistency. The handheld colour meter can save light readings and set-up information to a removable SD card, allowing you to build an external library of light readings and settings for use at a later date. The compact, easy-to-use device has a wide range of metering modes that allow you to take the guess work out of lighting, which will drastically reduce set-up time. The spectrometer is perfect for creative professionals that require accurate lighting in studios and on location. 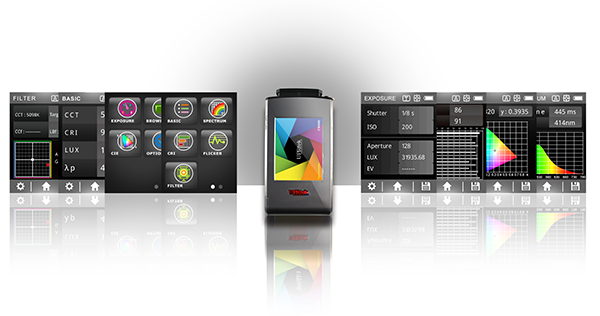 Advanced modes include CRI, Flicker, Filter, Exposure, Spectrum, TM-30 and CIE. 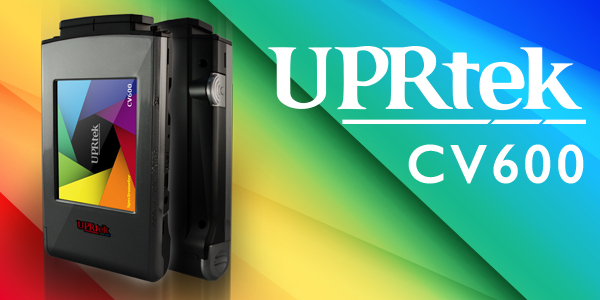 The UPRtek CV600 is priced at £1,438.80 incl. VAT. If you’re visiting IBC in RAI Amsterdam next month (15th-19th September 2017), visit us on UPRtek Stand 9.LP15. Test the meter out, see live product demonstrations and get expert support and advice on how to get the most out of this handy device. This entry was posted in Colour Management, General News and tagged Colour Management, colour meter, UPRtek on August 29, 2017 by Color Confidence. 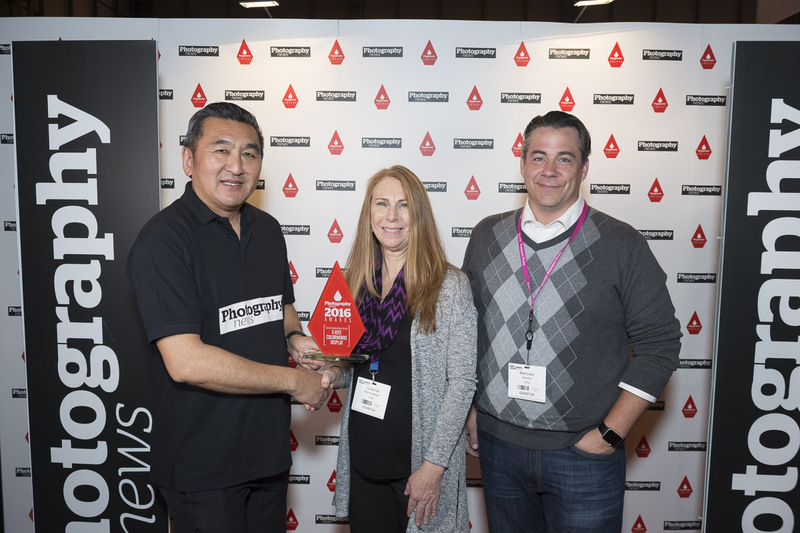 A number of our key vendors, including BenQ, Rotolight, EIZO and NEC have been nominated in Pro Moviemaker’s Gear of the Year Awards for their bestselling products. Pro Moviemaker’s Gear of the Year Awards recognise the very best products in the market, from emerging new technologies, to high-quality products for a variety of aspiring filmmakers within an industry packed with innovation and excellence. 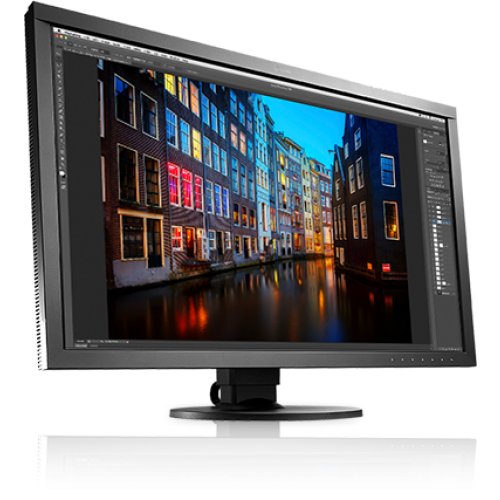 The SW320 monitor is designed for photographers and filmmakers that require accurate colour and a large viewing area for editing. 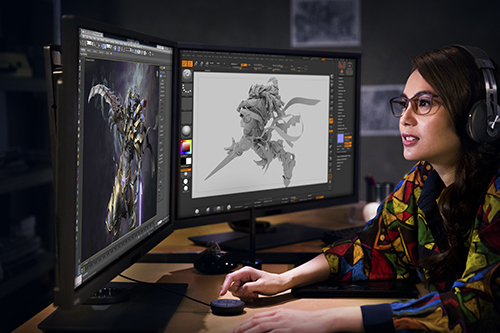 With features such as HDR, a 4K UHD resolution and a 100% REC 709 colour gamut, it’s clear that this monitor is designed for creative professionals that demand perfection. The SW320 is priced at £1,319 incl. VAT. The NEC PA322UHD-2 features a professional reference 10-bit IPS-type with IGZO technology panel and delivers high quality imagery, perfect for photographers, cinematographers and videographers. The NEC PA322UHD-2 is priced at £2,550 incl. VAT. The EIZO ColorEdge CG2730 boasts 99% Adobe RGB coverage, which encompasses most of the colour producible for photography, whilst the 98% DCI-P3 colour gamut is ideal for video post-production work. 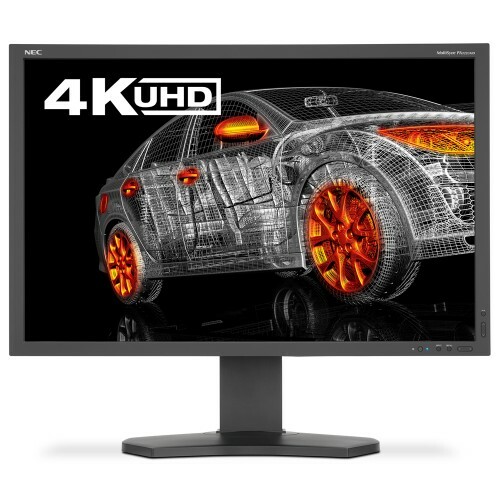 The monitor is equipped with EIZO’s patented digital uniformity equalizer (DUE) technology which ensures you get a stable image display with consistent brightness across the entire screen. 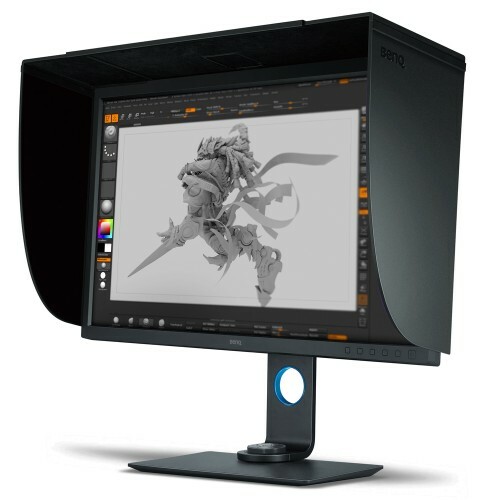 The EIZO ColorEdge CG2730 is priced at £1,360 incl. VAT. The Rotolight AEOS is a powerful, ultra-portable, bi-colour LED light designed for portrait and location photographers and videographers on the move. The AEOS includes an LED light with a unique ‘ultra-thin’ design, and also includes a powerful light output, industry leading colour accuracy for perfect skin tones and unrivalled battery performance. The AEOS is priced at £899.99 incl. VAT. 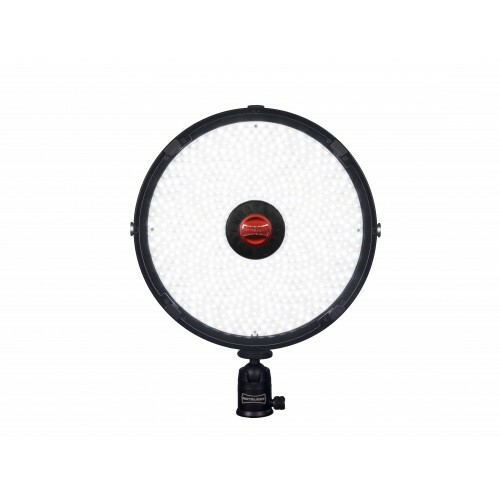 The Rotolight Anova PRO is the ultimate LED studio/location light designed for the most demanding of photographers, videographers and cinematographers. The Anova PRO delivers exceptional colour rendering and powerful soft light output, whilst using 94% less energy than a standard tungsten bulb. The Anova PRO is priced at £1,439.99 incl. VAT. Vote for your favourite products now! This entry was posted in BenQ, Color Confidence, EIZO, General News, NEC, Rotolight and tagged BenQ, Eizo, Monitor, NEC, Photography, Rotolight on August 23, 2017 by Color Confidence. 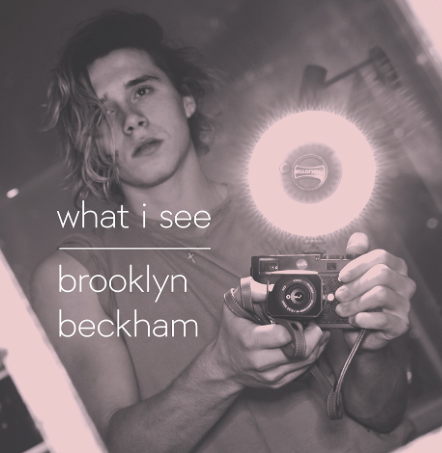 The Rotolight RL48 has been featured on the front cover of Brooklyn Beckham’s first photography book, titled ‘What I See’. Famously known as the eldest son of David and Victoria Beckham, Brooklyn has expressed an interest in photography since the age of 14. As the family are constantly in the public eye, Brooklyn has decided to give us an insight into his life by using images to tell his story. The new best-selling photo book gives an in-depth look into a series of snapshots of Brooklyn’s life, with each chapter telling a different story through pictures and captions in Brooklyn’s own words, appealing to his predominantly teen audience, keen for a glimpse into the glamorous life of the young celebrity. The award-winning RL48 is used by many amateur and professional photographers working on location. It is easy to use, extremely portable and has high-quality colour rendering. Whilst the book has received mixed reviews, people of all user levels see the RL48 as the light of choice, with numerous photographers and filmmakers describing the product as ‘classy’, ‘high quality’ and ‘versatile’. The RL48 delivers ‘Flicker Free’ continuous light, providing soft lighting with the classic ‘ring-light’ effect without shadows. The product was recently awarded ‘Best Value LED Lighting Product’ by the British Journal of Photography, and was named ‘2013 Special Award for Scientific Achievement and Technical Innovation’ by the British Kinematograph Sound & Television Society. The popular product has also been used on various films including ‘James Bond Skyfall’ and ‘Captain Phillips’. It has also received many positive reviews from professionals describing it as ‘quick to set up and totally portable’ as well as ‘neat, punchy and time saving’. 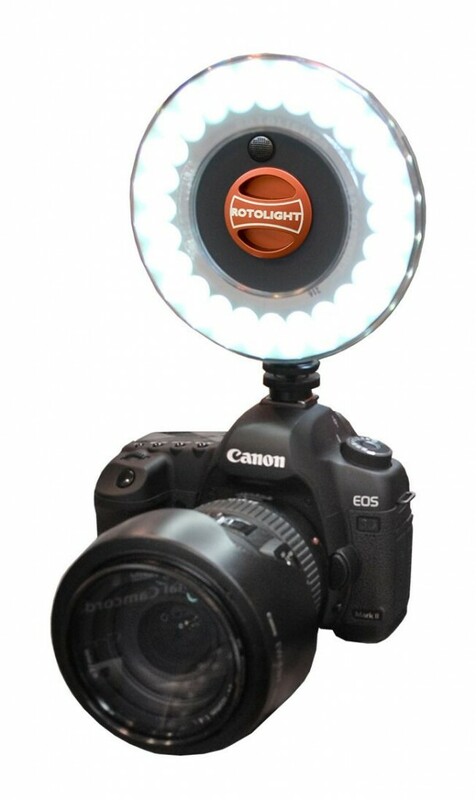 It is easy to see why so many celebrities and film experts rely on the Rotolight RL48. Other products in the award-winning range include the Anova PRO, NEO and the newly launched AEOS. There are also over 30 accessories to accompany the lighting systems. The RL48 is priced at just £77.24 incl. VAT. This entry was posted in General News, Rotolight and tagged Photography, Rotolight on July 31, 2017 by Color Confidence. To celebrate the recent launch of their Instagram page @inspiration_by_benq, BenQ are giving away one of their award-winning monitors, worth over £590! The SW2700PT monitor is designed to effortlessly and accurately showcase the creative vision of professional photographers, enhancing and empowering the visual stories they communicate. The monitor is user-friendly and has unprecedented colour accuracy and attention to precise detail. Designed for visual perfection in professional photo editing, the SW2700PT is packed full of image enhancing features such as a 2560 x 1440 resolution display, 99% Adobe RGB space and IPS technology. Its hardware calibration software allows you to save your calibration profiles directly to the monitor, and the OSD controller gives you the power to preview your image in Adobe RGB, sRGB or B&W with just one click. It also comes complete with a made to measure shading hood! 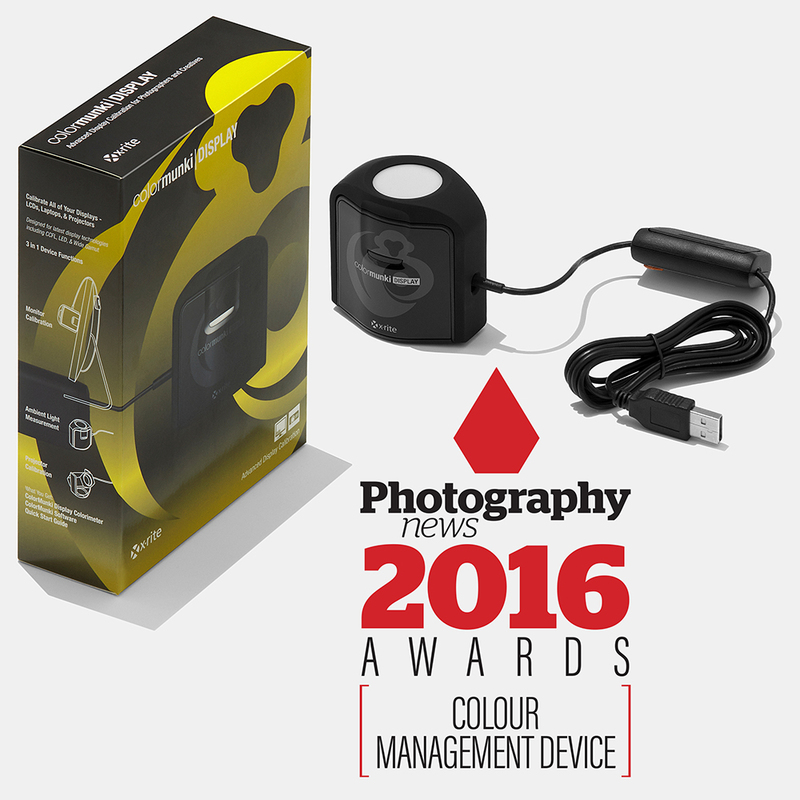 The monitor was announced ‘Best Photo Monitor’ in the 2016 TIPA (Technical Image Press Association) Awards. The TIPA Awards are recognised as the most coveted photo and imaging awards worldwide. 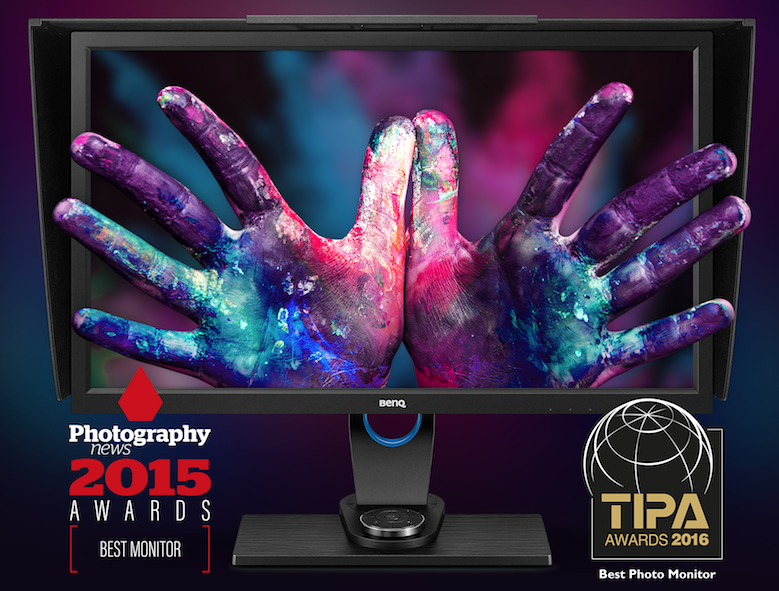 The SW2700PT was also named ‘Best Monitor’ in the Photography News 2015 Gear of the Year Awards. To enter the competition, all you need to do is follow BenQ’s Instagram page @inspiration_by_benq by Monday 31st July 2017. The winner will be randomly selected and announced on 7th August 2017. Make sure to keep an eye on their Instagram to see if you’re the lucky winner! This entry was posted in BenQ, Color Confidence Range, Competition, General News, Monitors and tagged BenQ, Competition, Design, Image Editing, Monitor, Photography, Video on July 25, 2017 by Color Confidence. 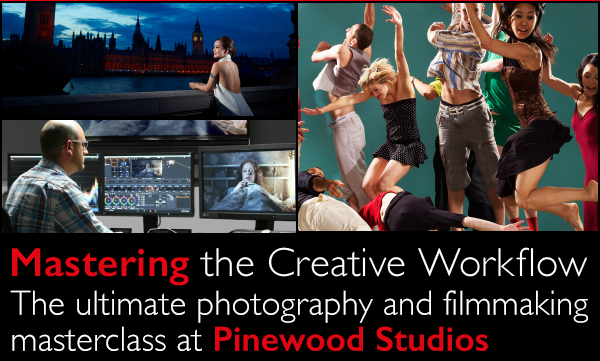 We recently held the Mastering the Creative Workflow masterclass at Pinewood Studios to offer professional and budding photographers and filmmakers the ultimate creative experience. The one day event was hosted by professional photographer and BenQ Ambassador, Adrian Weinbrecht, and professional filmmaker and X-Rite Coloratti, Ollie Kenchington. The event was sponsored by Calumet and run in partnership with X-Rite, BenQ, Rogue Photographic Design and Rotolight. It gave visitors an insight into how creative professionals make use of colour management solutions and professional lighting tools for their everyday projects. The workshop was delivered to a mixture of professionals, amateurs, hobbyists; some visitors were looking to advance their already extensive knowledge, whilst others sought to learn the basics of photography and filmmaking. Adrian showed that in a photoshoot, it’s not all about the size of your lights that matter, you also need to consider where you position them. Adrian demonstrated that moving a light just a few degrees or inches can make or break an image. In this session, Adrian discussed the psychological impact colour has on an image; “you have to have 100% confidence in each colour, because in the commercial world, consistency is everything.” Adrian also mentioned the importance of using the X-Rite ColorChecker Passport Photo when shooting in order to create an optimal colour reference and white balance target. “Colour separates your subject from the background. Colour reinforces the message that you set by your light; your light reveals the form of the subject and sets the mood which is then reinforced by colour,” Adrian told the audience. This session covered how to set your key, backlight and eyesight, how to position your model and the camera techniques to use when shooting. 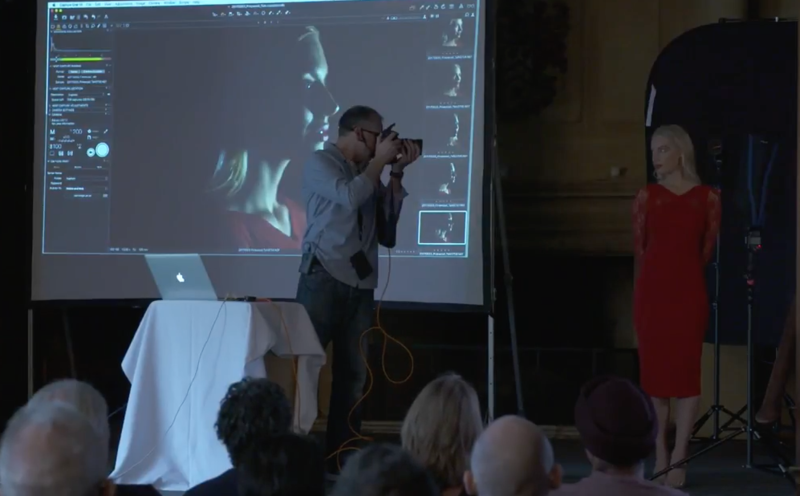 In this insightful session, Ollie also covered framing choices and setting your exposure and custom white balancing. Ollie discussed primary adjustments, perfecting contrast, drawing in your audience and re-framing in post. 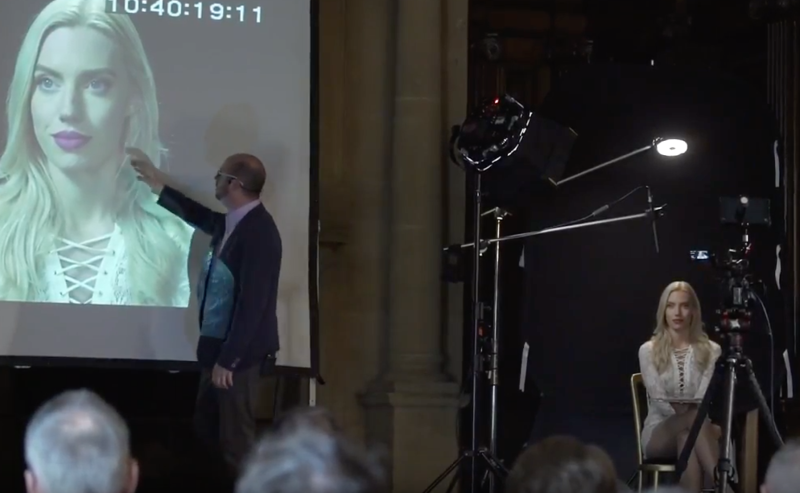 As both experts are brand ambassadors; Adrian an X-Rite Coloratti and brand ambassador for BenQ and Rotolight and Ollie an X-Rite Coloratti, both were able to highlight the key products to use for optimal results during the photographic and filmmaking process. During his sessions, Ollie also demonstrated how to use the Rotolight NEO to provide a backlight during shooting. 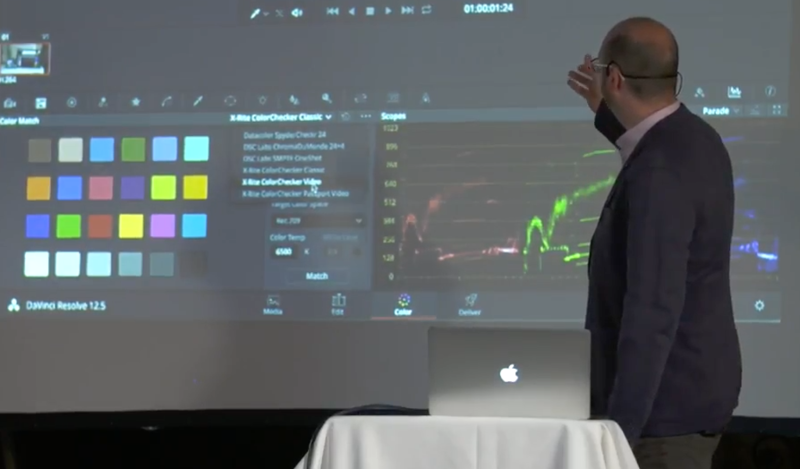 He showed how to use the X-Rite colour management solutions to achieve perfect exposure and reduce the time spent editing in post-production. All attendees received a £40 discount of all X-Rite, BenQ, Rotolight or Rogue Photographic Design products purchased on the day. This entry was posted in Color Confidence and tagged BenQ, Photography, Rogue Photographic Design, Rotolight, Video, Workshop, X-Rite on July 24, 2017 by Color Confidence. 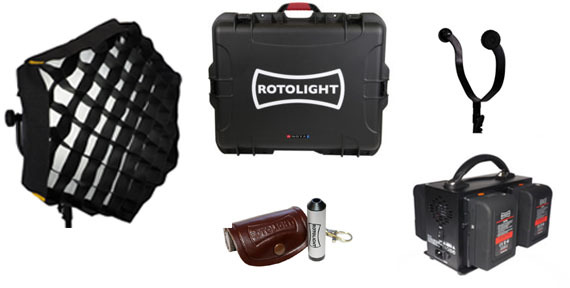 Rotolight have a number of innovative accessories to complement their popular range of on-camera, studio and location lighting systems for photographers and filmmakers. Rotolight’s revolutionary lighting tools include Anova PRO™- the world’s first bi-colour continuous LED light with high-speed sync (HSS) flash, the recently launched and extremely portable ‘ultra-thin’ AEOS, the Rotolight NEO on-camera light, and the RL48 Ringlight. The lights have been used on major films including James Bond “Skyfall” and ‘Captain Phillips’, and are continuously used by leading photographers and cinematographers worldwide. 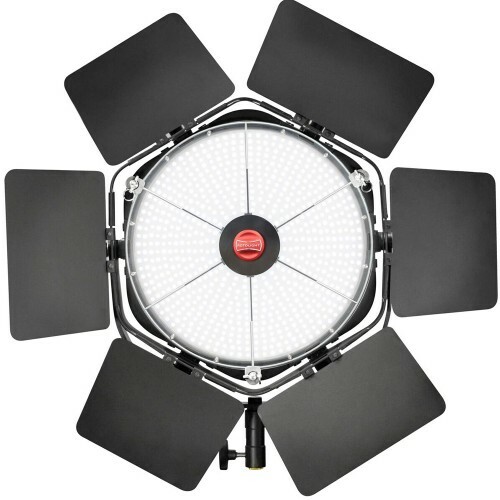 A wide range of Rotolight accessories have been designed to offer users a completely customisable lighting experience. Currently consisting of over thirty-five items, the accessories range includes a number of light stands, barn doors, coloured filter packs, yokes, diffusers, ball swivels, clamps and articulating arms. There are also a number of practical items that are ideal for those working on location such as travel cases, rain covers, spare power supplies, adaptors and chargers, spare cables, batteries and an Accessory Belt Pouch. Rotolight Spectrascope (RRP £59.99 incl. VAT) that allows users to correct and accurately control lighting on set or location. This is an absolutely vital device for anyone working with light as it can analyse any light source to reveal its colour spectrum, peaks and missing bands. Rotolight Lithium Ion V-Mount Battery range, which includes a high performance 95w/h V-Mount battery, as well as 2-way or 4-way V-Mount chargers (which will support any v-mount battery). This quality battery is specifically designed to withstand the demands of high performance equipment and will deliver the best performance with the Rotolight AEOS and Anova PRO, as well as any third-party LED lights. This entry was posted in Color Confidence Range, Photography, Rotolight, Video and tagged Photography, Rotolight on July 4, 2017 by Color Confidence. 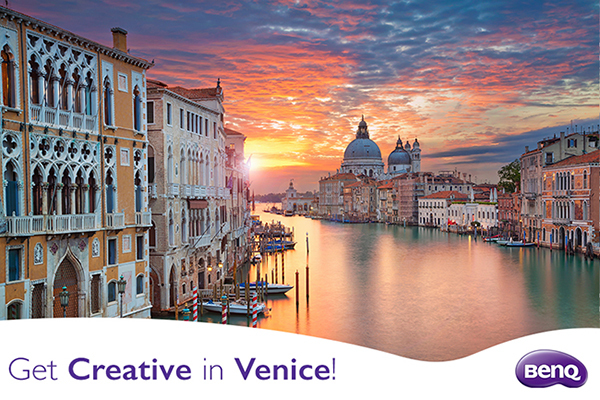 To celebrate the popular new SW320 monitor, BenQ have launched the exciting new ‘Get Creative in Venice!’ competition that will offer one lucky winner a 6 day, all-expenses paid photo trip to Venice, Italy. During this once in a lifetime trip, the winner will be led through the most photogenic locations that Venice has to offer, taking in beautiful scenery and learning tips and tricks from a professional photographer. The winner will capture some unbelievable memories, whilst taking expert one-on-one tuition from Travel, People and Street Photographer, Gabriella Micene. BenQ’s SW320 monitor is designed for photographers that require accurate colour and a large viewing area for editing. With features such as a True 10-bit IPS back panel, hardware calibration, 99% Adobe RGB colour space and a 14-Bit 3D LUT, it’s clear that this monitor is designed for image perfection. The SW320 features a 4K UHD resolution and 100% Rec 709 colour gamut, making it also ideal for filmmakers and photographers that work with video. HDR (High Dynamic Range) has been introduced to offer higher contrast, vivid colours and brighter images. It allows professionals to display true-to-life video with the same accurate colour and detail it was captured with. It also has an expanded contrast ratio to make the white and black points within the image, closer to “true” white and black. This is the fifth instalment in BenQ’s professional range of colour critical monitors. Other monitors in the range include the PV270 (27”), PV3200PT (32”), SW2700PT (27”) and the PG2401PT (24”). The SW320 monitor is priced at £1,275.60 incl. VAT (RRP) and is available to purchase through leading photo and video retailers, and on colorconfidence.com. The photo adventure is designed, not only to guide the winner through the most photogenic locations carefully planned for the best light, but will enable them to mentally visualise a scene before capturing the perfect moment. The trip will allow the winner to use their newfound skills to improve and expand on their photographic technique. The all expenses paid photo trip is worth approximately 4,500€ and will take place from 8th – 13th July 2018. The trip will include flights, daily travel, accommodation, as well as food and drink (excluding alcohol). This is a pan-European competition. To be in with a chance of winning this once in a lifetime prize, entrants can simply fill out a short form at: colorconfidence.com/benq_venice. Terms and conditions can also be found on the competition web page. This entry was posted in BenQ, Color Confidence Range, Competition, General News, Photography, Video and tagged BenQ, Competition, Image Editing, Monitor, Photography, Video on June 5, 2017 by Color Confidence. Award-winning British LED lighting manufacturer, Rotolight have announced the launch of AEOS – an industry-first LED light for portrait and location photographers. AEOS is a bi-colour, LED light with a unique, ‘ultra-thin’ design. It is one of the most portable lights on the market, weighing under 1.5kg. AEOS is the first location LED light to include integrated aluminium handles instead of a yoke, giving users the freedom to ‘work the light’ at angles and positions not otherwise possible. AEOS delivers a powerful light output of 5,750 lux at three feet, but is also one of the most energy efficient LEDs on the market, able to run for three hours at 100% power on a single 95W battery – more than twice as long as the industry standard. It will include a professional level ball head, providing complete 360-degree rotation, and 200-degrees of tilt, when mounted to a light stand, making the light truly versatile. The ball head is made from high-quality, solid aluminium and can support the full weight of the AEOS with battery and barn doors mounted, at any angle. AEOS features dual controls for brightness, and fast, tuneable colour on location. AccuColour ™ LED technology delivers industry-leading skin tone rendering performance, eliminating the need for lengthy post-production colour corrections. “The Rotolight AEOS really is the ultimate light for location and portrait photographers who want something powerful, yet portable and easy to carry, with a beautiful soft light output. AEOS will simply enable you to get shots no one else can,” says Jason Lanier, Sony Artisan of Imagery and award winning photographer. AccuColour™ LED phosphor technology ensures the AEOS delivers exceptional colour rendering (CRI:96+). AEOS comes with a full set of coloured filters and two diffusion filters. There is also a full range of optional accessories available. Watch the AEOS video here. The Rotolight AEOS is priced at £899 incl. VAT RRP and is available to pre-order now. This entry was posted in Color Confidence Range, General News, Lighting, Photography, Rotolight and tagged Light, Photography, Rotolight on April 26, 2017 by Color Confidence. Three of our key vendors win Photography News Awards! 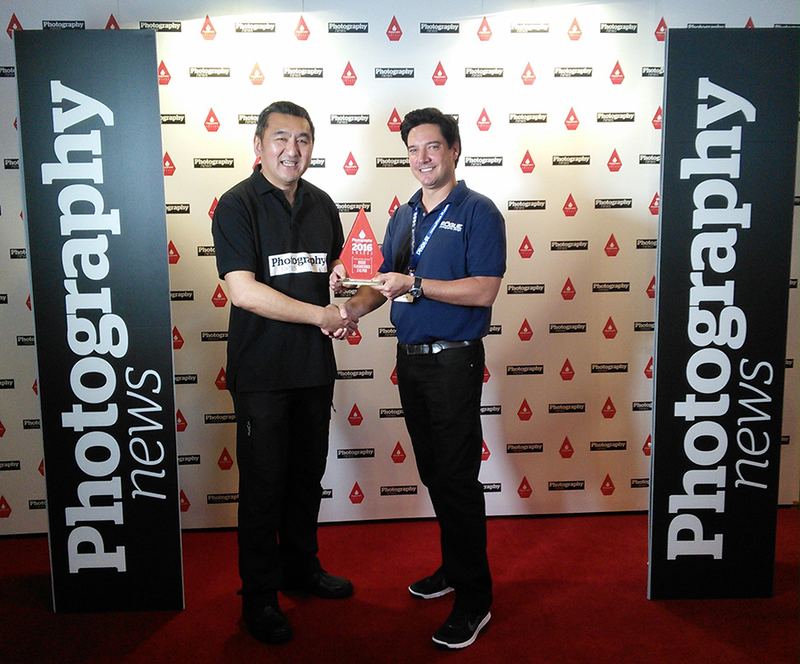 Congratulations to BenQ, ExpoImaging and X-Rite for winning Photography News 2016 awards. 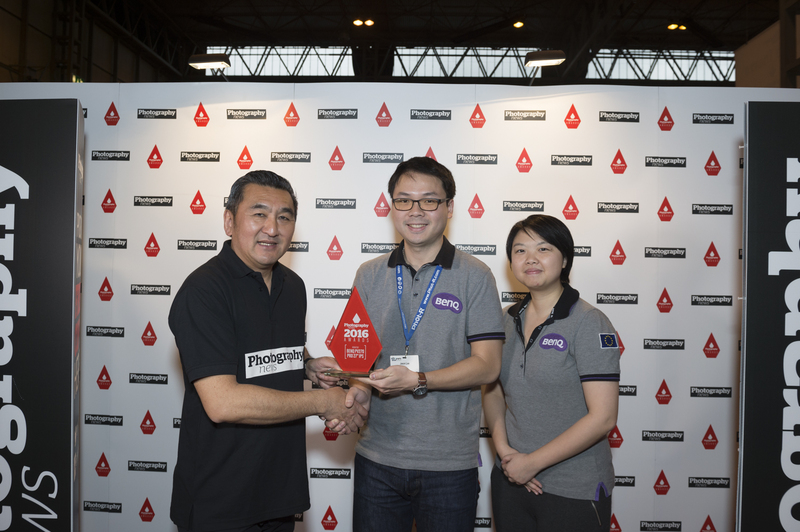 The awards ceremony took place at The Photography Show last month. 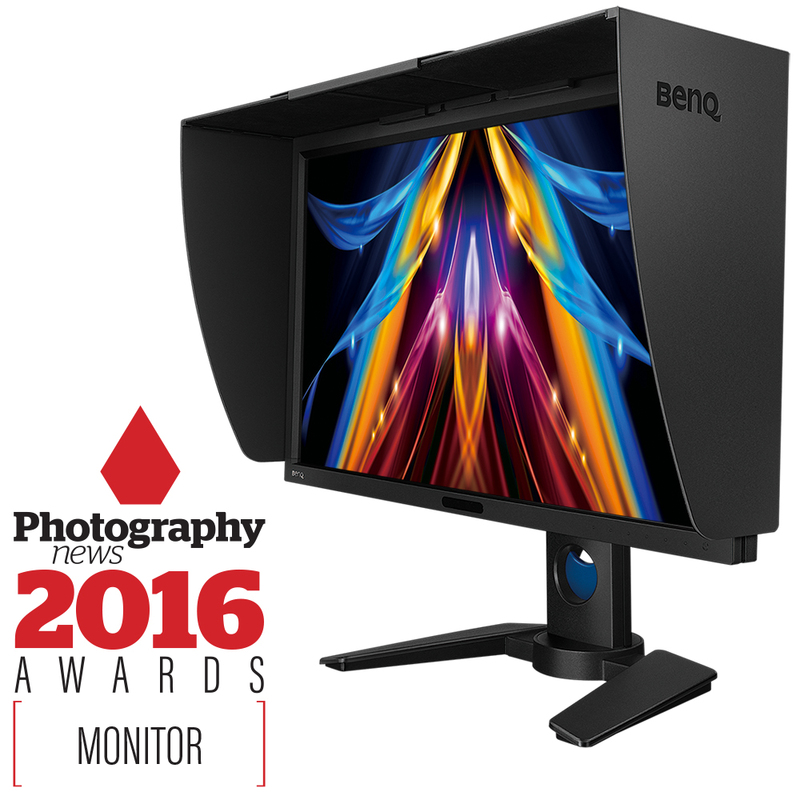 The BenQ PV270 is a 27” monitor that meets the demanding needs of photographers that edit both stills and video. Uncompromising colour performance and powerful calibration tools make the PV270 the ideal monitor for professionals that require reliable colour throughout their workflow. The BenQ PV270 is the epitome of ‘Still meeting motion’, giving professional photographers the best of both worlds. The Adobe RGB coverage encompasses most of the colours producible for photography, whereas the Rec. 709 coverage and the DCI-P3 colour gamut is crucial for video post-production work. The monitor is priced at just £849.60 incl. VAT. The Rogue FlashBender 2 XL Pro Lighting System contains the largest FlashBender, creating a much larger light source whilst still being portable enough to take anywhere. 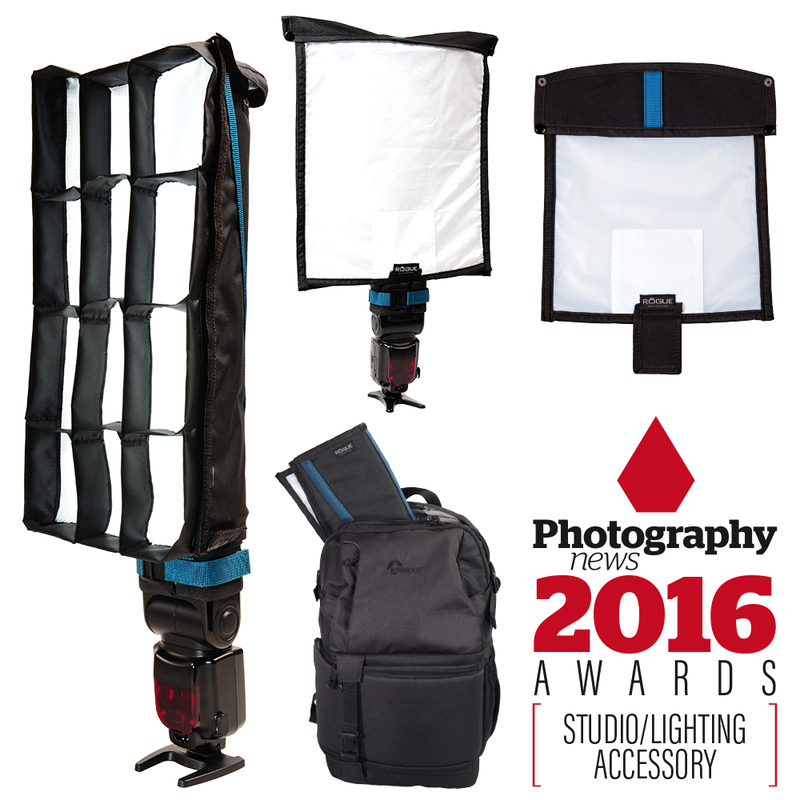 The FlashBender 2 XL Pro is quick and easy to set up and can be folded flat for storage or transportation. It has its own travel bag and is sized to fit in a 15” laptop compartment or laid flat in a gear bag so it doesn’t take up any valuable space needed for lenses or other essential equipment. The XL Pro is designed to fit most standard sized flash models from Canon, Nikon, Sony and Nissin, and is priced at just £89.95 incl. VAT. The X-Rite ColorMunki Display is an ideal solution for those looking for quick and easy monitor calibration for one or multiple monitors, or a projector. It gives you the option to utilise more advanced features if required, such as optimising profiles based on your ambient lighting conditions, as well as adjusting to glossy screen types using a Flare Correct feature. The X-Rite ColorMunki Display offers advanced display calibration, that quickly and easily allows you to deliver consistently accurate on-screen colour. The ColorMunki Display is priced at just £148.50 incl. VAT. This entry was posted in BenQ, Calibration, Color Confidence Range, ExpoImaging, Lighting, Monitors, Photography, X-Rite and tagged BenQ, Calibration, ColorMunki Display, ExpoImaging, Photography, X-Rite on April 11, 2017 by Color Confidence.